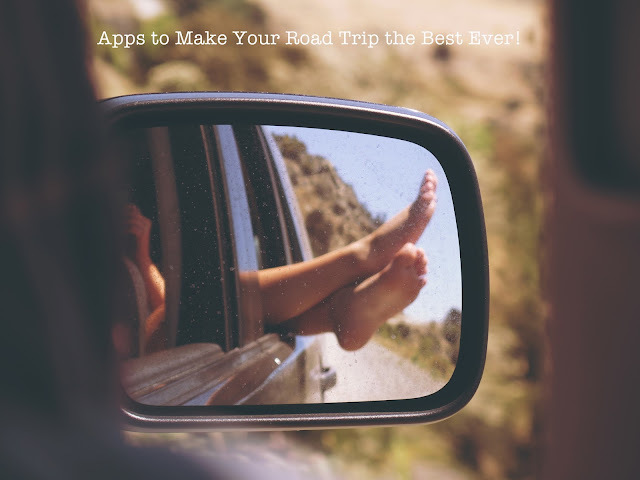 Five Happy Yolks: Apps to Make Your Road Trip the Best Ever! Summer is coming and that means one thing for this family, ROAD TRIP! We usually take at least one big road trip a summer and maybe a few small ones. This summer we're doing two large ones, Dauphin Island in June and Disney in September, and we can not wait! Part of the excitement is getting there. Yes riding in the car with a family of six is not always the most fun you'll have, but we see so much more and make memories. Here are a list of road trip apps that will make your trip even better! This app is a must have for anyone wanting to see the sights as you travel! You enter where you want to go, make selections depending on what you want to see and the app creates a customized map just for you! They have landmarks along the way, restaurants, etc. We use this app and love it! We've found things we probably wouldn't find on our own. Last minute discounts on top rated hotels. You can only book a week out, so it's not for the planner, which we are when we drive, but it's a great app to have just in case! Super important for saving money on gas. Put in where you're going (stop wise) and it will give you all of the gas prices for that area, then you can compare and find the cheapest! I haven't used this app yet but you can bet I'll download it for our June trip. It tells you what's ahead at each exit while driving on the interstate, where to eat, gas, etc. A must have! We're constantly trying to find spots while driving to pull off and have a bite. This app runs in the background of your phone, alerting you to locations to fit a "field trip": historical, sites, architecture, entertainment, etc. It will base your recommendations by a thumbs up or thumbs down from you. Pretty self explanatory. Riding in a car for 6 hours a day can be pretty boring, this helps break it up a bit. I can watch almost a whole season of something in a car ride! Binge ride, yes please! I'm new to this one but you can bet I'll be downloading to use! We love new and interesting food spots. I hate to go to a new city and eat at a chain restaurant that we have at home. We usually try to scout out the local places, not chain restaurants, as much as we can. This app shows you places that have been featured on popular food shows and let's you plan your trip around them. Totally giving this one a try! I hope I helped you a little bit, ease the boredom of road tripping and make it fun. It's the thing we look forward to the most!